Note: Tom Mayes' popular Why Do Old Places Matter? series is now available as a book Why Old Places Matter. Order the book today. Editor's Note: Click here for full coverage on the Why Do Old Places Matter? series including the Spring 2015 issue of Forum Journal. Tom Mayes, a 2013 Rome Prize winner in Historic Preservation from the American Academy in Rome is back in Washington, D.C., these days. But he hasn't stopped thinking and writing about why old places matter. His series of essays about his experiences and research continues here. We see how old places foster community in the way many old neighborhoods seem to have their own personalities,1 in the way Main Streets and historic post offices act as the daily gathering place for people,2 and in the way people in some old towns seem to be able to run into exactly the person they need to see exactly when they need to see them. People are proud of where they live. They identify with where they live. They are able to run their lives efficiently where they live. They feel connected and interconnected and embedded where they live. And when they leave, they may feel homesick, as I was when I first left the Ramah community near Huntersville, North Carolina, to go to the University of North Carolina in Chapel Hill. I missed not only my family and our farm, but the whole familiar interconnected web of people and place that made up Ramah, from the taste of pound cake at dinners at our old, white frame church, to the cedar trees that lined the barbed wire fences at Mr. Ed Barnhardt’s farm. Resident Michelle Eastman said, "The history is great, but the convenience of it being here is better." In an older community, many of these community assets are already established, and the conditions that foster community already exist. The old buildings, streets, and parks may already be designed for walkability and interaction. These places may already have gathered stories over time, from the memory of the quirky family who lived in the house on the corner, to recollections about the crotchety old man who warned the kids off his lawn, to reminiscences about schools that generations of families attended. These buildings, streets, and even trees, serve as landmarks for telling stories that give people a sense of something shared—something lived together. The experience of living, working, shopping, exercising, worshipping, and playing in and around these old places builds a sense of shared community, and it is a sense of community that transcends generations. I applaud these efforts. Yet something critically important is often overlooked, and that is the idea that the development of a real community takes time. Community develops through the interaction between people and place over time. We cannot build a community—we can only foster the conditions in which communities can grow and thrive. Community occurs in the organic interaction between people and place. And over time, these communities typically develop with a diversity of ages, incomes, and ethnicities. Charles Wolfe, in Urbanism Without Effort, suggests that real urbanism is best when it is recognized where it already exists and has developed organically. “I believe the best urbanism is often the urbanism we already have, and that understanding the organic nature of this 'urbanism without effort' is key. "11 Old places have by their very nature developed organically, and in many cases have already developed the attributes that foster community. The flip side of the coin is also true. 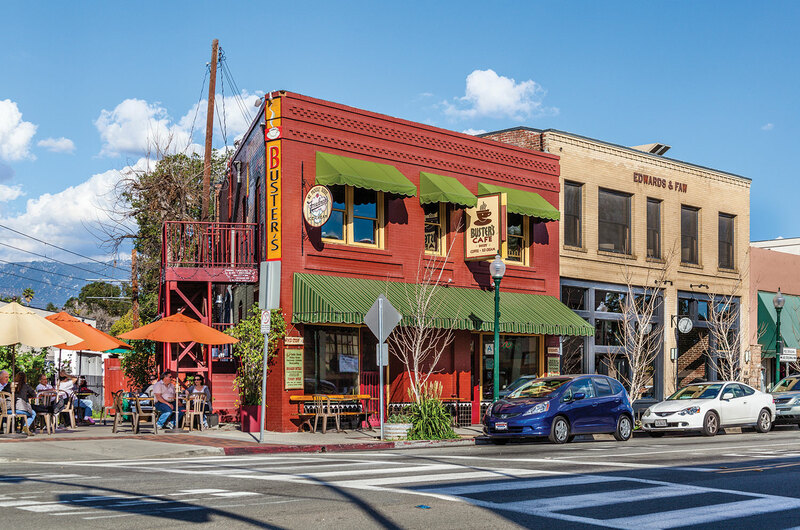 If older, smaller building can foster success, the loss of old places can lead to a lost sense of community. Former National Trust president Richard Moe wrote in Changing Places, “Like individuals, a community can fall victim to amnesia, can lose the memory of what it was, and thereby lose touch with what it is and what it was meant to be. The loss of community memory happens most frequently and most dramatically in the destruction of familiar landmarks that are themselves familiar reminders of who we were, what we believed, and where we were headed.”13The loss of familiar landmarks means the loss of a community asset that may be most helpful in reversing the decline of a community, and may diminish the identity that remaining residents share. Old places foster community by giving people a sense of shared identity through landmarks, history, memory, and stories, by having the attributes that foster community, such as distinctive character and walkability, and by serving as shared places where people meet and gather. In her report on the survey of Americans about historic preservation, Sandra Shannon wrote, “community satisfaction has been found to be significantly associated with a person’s overall quality of life. Its effect on quality of life is second only to marital satisfaction. It might be easy to brush off preference as something that is a low priority to people in the grand scheme of things, but it appears to actually matter to people in a deep way, and from a planning standpoint, this humanistic element should be an important consideration.14 If community is “shared experience … expressed in terms of a common physical place,” old places are crucial. Old places are where people, time and place intertwine to form community. Let me know how you think old places foster community. 1. Just ask people from Takoma Park, an old town near Washington, D.C., or Georgetown, D.C. or the neighborhood of Capitol Hill. Each has a distinct personality. 2. See the website, www.savethepostoffice.com. Accessed February 28, 2015. 3. Berry, Wendell. The Long-Legged House (Berkeley, CA: Counterpoint Press 2012) Google e-book, 61. 4. Goldberger, Paul. “Cities, Time and Architecture,” A speech for the Nelson-Atkins Museum, Kansas City, MO 2007. 5. Shannon, Sandra. “A Survey of the Public: Preference for Old and New Buildings, Attitudes about Historic Preservation, and Preservation-Related Engagement.” Master’s Thesis, University of Southern California. December, 2014. 6. 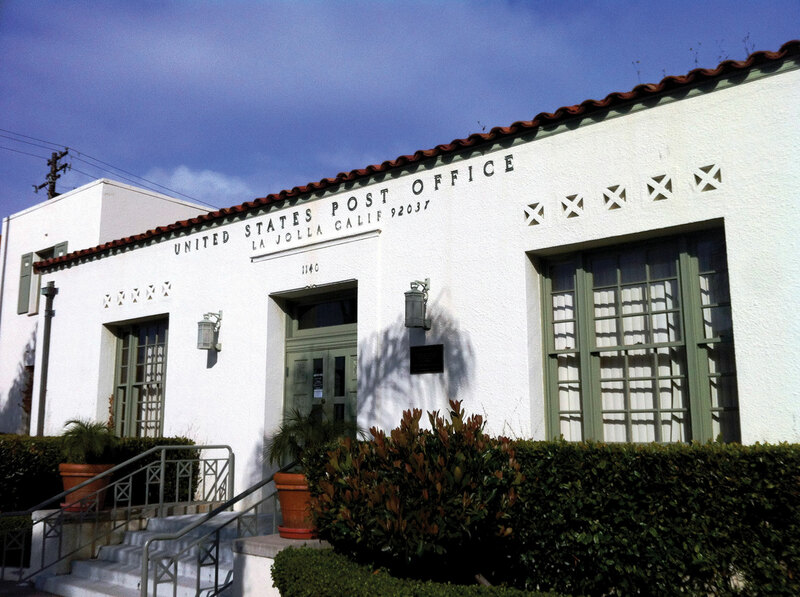 For more on the important role that post offices play, see the website, savethepostoffice.com. Professor Steve Hutkins, who operates the website, emphasizes the meeting place aspect of post offices, as well as their historic and artistic significance. See his interview in the Gothamist. Accessed February 28, 2015. 7. Wilson, Brian. “Milton residents fight to keep Milton's community identity." Accessed February 15, 2015. 8. Soule, Jeffrey. “Using the Historic Urban Landscape Approach.” Accessed March 8, 2015. For more on communities defining their identity, see “Hatcher, William. “Building and Selling Community Identity, PATimes, 2013, "Building and Selling Community Identity." Accessed March 2, 2015. 9. See the Charter of the Congress for the New Urbanism, which includes the statement, “We stand for the restoration of existing urban centers and towns within coherent metropolitan regions, the reconfiguration of sprawling suburbs into communities of real neighborhoods and diverse districts, the conservation of natural environments, and the preservation of our built legacy.” www.cnu.org/charter. Accessed March 2, 2015. 10. 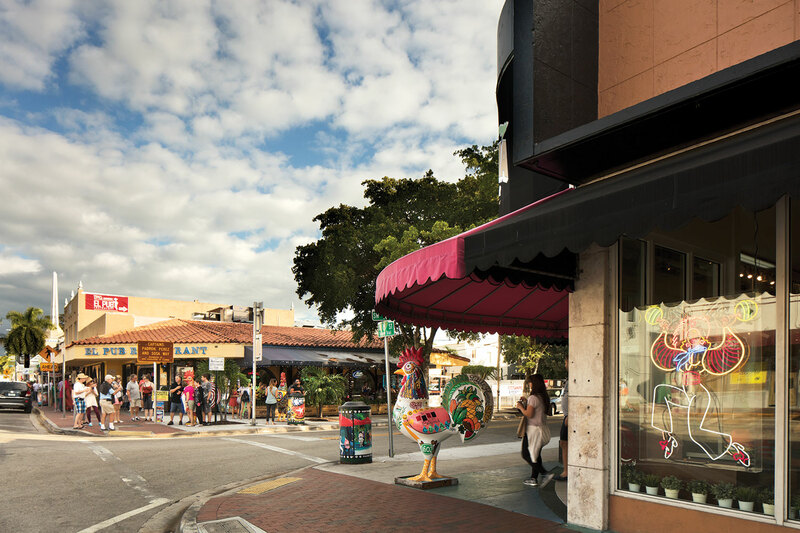 In the rush to focus on the excitement of new places, planners and government officials often have not paid sufficient attention to the real communities—the older places that already exist, which may not be as architecturally sophisticated or aesthetically pleasing. Yet community may exist there. One of the conundrums of the interaction between the preservation field and the smart growth movement, is that the smart growth movement did not seem to acknowledge the reality that many older suburbs function very well, and are successful communities where people love to live. 11. Wolfe, Charles R. (2013-05-02). Urbanism Without Effort (Island Press E-ssentials) (Kindle Locations 426-429). Island Press. Kindle Edition. 12. National Trust for Historic Preservation, Preservation Green Lab. “Place Based Metrics for Older Neighborhoods,” Accessed February 28, 2015. 13. Moe, Richard and Carter Wilkie. Changing Places Rebuilding Community in the Age of Sprawl. New York: Henry Holt and Company 1997, 261 (citations omitted). 14. Shannon, Sandra. “A Survey of the Public: Preference for Old and New Buildings, Attitudes about Historic Preservation, and Preservation-Related Engagement.” Master’s Thesis, University of Southern California. December, 2014. Tom Mayes is the deputy general counsel for the National Trust for Historic Preservation. In 2013 Mayes was awarded the Rome Prize in Historic Preservation from the American Academy in Rome.